Staying motivated is difficult at times. Self-doubt, fear and insecurity can affect your focus and productivity, and this affects your progress and chances of success. 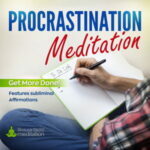 Using specially designed subliminal phrases, our Motivation Meditation helps you develop rock-solid motivation by overriding negative beliefs and self-limiting emotional barriers. Maintaining high-level motivation on a daily basis will give you the willpower and persistence required to operate at your full capability and achieve your goals. Do you ever find yourself lacking the motivation to complete a project? Do you start things with enthusiasm but quickly lose momentum? 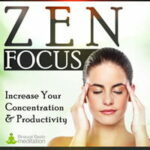 Do you easily lose focus and get sidetracked by life's other demands? Does your level of productivity fluctuate from day-to-day? Do you struggle to find the commitment & persistence to do things to the best of your ability? Staying motivated is difficult, particularly when we're battling adversity and going through struggle in our lives. It's also difficult to stay motivated when a task is laborious and seemingly never-ending. We become distracted: we focus on the past and the negative things that have happened; we think about what might happen in the future – if we do x, y and z – and we focus on the lives of others instead of focusing on our own pathway in life (think social media!). To get to the top of the mountain, we need to maintain a consistent level of motivation. We need to be motivated not just when we feel energetic and happy, but when we feel a little tired and uncomfortable. Not every day is going to be an easy one, which is why we all need a bit of extra motivation to get us over that wall when we're struggling to find our grip. Every single day of your life, you have a choice to wake up and make it count. But it's not easy to stay focussed and committed, to cultivate that persistence and high-level productivity. Why? Because we're in a constant struggle to overcome self-doubt, fear and insecurity. The negative beliefs and emotions associated with these things are buried deep in the sub-conscious mind. They throw us off course and de-activate our motivation. This is why we lose focus on a goal. We quickly forget how much it means to us, and instead move on to something new that feels easier and more comfortable. Life is like a marathon race: there are highs and lows at different stages of the race. At one stage you may feel strong and confident that you will finish, and at another every muscle in your body is telling you to quit. Motivation is all about mindset. It is all about making a commitment, focusing on your goal and not letting anything stand in the way of getting to the finish line. Whether you are training for a marathon, writing a book or working hard to get a promotion, no matter your goal, if your mindset is right, you can succeed. You have to believe in yourself. You have to believe that you can complete your goal. You have to believe that you are capable of succeeding. Because the beliefs we hold about ourselves are responsible for creating our opinions, thought processes and outcomes in life. If we believe that we can't succeed, that we are incapable of greater things, the outcome will always be failure, or at best, mediocrity. Life becomes a self-fulfilling prophecy: We undertake a task, set a goal, and give up before we're even half-way through. And, if we do finish, we did so because we rushed through, because we didn't give our all, because we took shortcuts. As such, the outcome seldom feels like an achievement. Maintaining a constant motivation is the key to cultivating the belief needed to achieve greatness. To break boundaries, to go past your self-limitations, you need to stay continuously motivated. You need to keep a motivated mindset, to stay drive and purposeful. So that every day you get up, your mind switches on with the belief and motivation to get started and take the next step towards your goal. Motivating yourself to be the best you can will bring with it a massive sense of self-achievement and pride. There is no greater achievement than giving the best you can. Even if something doesn't quite work out how you wanted it to, even if you don't win, even if you don't pass, as long as you give your all, that is what matters. Scientific research supports this: Research shows that intrinsic factors (knowledge, learning and accomplishment) are more motivating than extrinsic factors (money, fame, grades, and praise). This proves that the saying; “Shoot for the moon. Even if you miss, you'll land among the stars,” really is true. In a nutshell: the reward is gained from the doing, the taking part. It's the learning, the journey and the completion that ultimately motivate you to become the best version of you that you can. But to give your all, you need to stay motivated on a daily basis. And that's exactly what the Motivation Meditation is designed to do. Our Motivation Meditation is designed to create an unbeatable mindset, to develop a driven, winning mindset that will help you remain motivated, productive, focused and in full belief of your pursuit. The Motivation Meditation will give you that tunnel vision that allows nothing to infiltrate your mental space and throw you off course. It will help you take back control, rather than giving all your control over to external factors, which ultimately manipulate the outcomes in your life. The Motivation Meditation reprograms your subconscious beliefs to create a bullet-proof level of motivation. 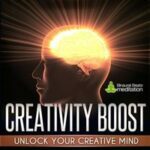 Using subliminal messaging (a series of specially designed trigger phrases) that play underneath the music, the Motivation Meditation will override the default subconscious beliefs that cause you to endure poor focus, low-level productivity and high failure rate. The key to subliminal messaging is that you do not consciously hear the statement (it is below the threshold of human hearing), but your subconscious mind is capable of identifying the information and storing it in your mind. Think of your mind like an iceberg: your conscious mind is the 10% on the surface that you can see and access quickly, but the more powerful, larger area of the mind is the subconscious part down below the water. This is where the beliefs that drive your emotions and everyday actions are stored. 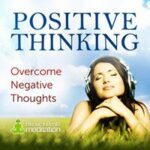 When you regularly expose the subconscious mind to positive messaging – the opposite of the negative information it has stored previously – you are able to change your belief systems, ways of thinking and default habits. In addition to the subliminal affirmations, the music contains Alpha binaural beats frequencies (at 12 Hertz and 10 Hertz). Alpha is the flow state: an optimal state of consciousness where we feel our best and perform at our best, where every thought and action unfolds effortlessly and we become one with “the self”. The frequencies in this range are associated with motivation and inspiration. The music in the composition is tuned to 528 Hz, a frequency on the ancient Solfeggio scale. 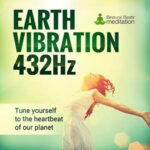 This popular frequency is said to promote an increase in energy, clarity of mind and awareness, and to activate the intention and intuition required to operate at your highest and best purpose. 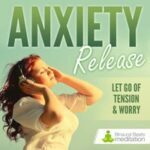 The affirmations, Alpha binaural beats frequencies and music tuning combine to create a powerful self-development tool that will boost your level of motivation on a daily basis. 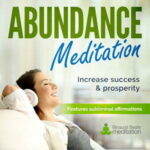 The downloadable Motivation Meditation program comes with 3 different versions of the music and, in addition to the silent subliminal affirmations versions, we have also included an audible affirmations version. 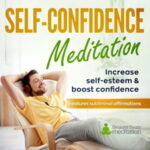 This version contains spoken affirmations as an alternative method of positive reinforcement. Track 1 (30 min & 1-hour versions): Music featuring Alpha binaural beats and subliminal affirmations. Headphones required for full effects. Track 2 (1-hour version): Music featuring Alpha binaural beats and audible affirmations. Headphones required for full effects. Listening through speakers will also offer the benefit of positive reinforcement through the audible affirmations. * The 1-hour version of track 1 is an extended version designed for a longer listening experience. Using headphones: For the full experience, you should listen through headphones. You can choose to be seated or lie down, whichever you prefer. Please note that the Alpha soundwaves (frequencies) used within the music may induce a relaxed state, so please do not listen while driving or operating machinery. Please note that listening in this way will not have the added benefit of the Alpha soundwaves, which require headphones to be fully effective. That said, the musical composition is designed to be relaxing, so you will still feel relaxed while listening. Listening without headphones and over speakers will give you the full subconscious entrainment of the subliminal affirmations. To do this, we have provided you with a 2-hour version of the silent audio. This version contains just the subliminal affirmations (no music or Alpha soundwaves). You won't actually hear anything when listening to this track, but the subconscious entrainment will still be effective, and of course useful when you don't want music on or have other people in earshot that you don't want to distract. It also means you can listen on repeat, without any sound disturbance. This is ideal when you are sleeping. Initially, we recommend listening to the program for at least 1-hour each day for 2 weeks. After that, you can set your own listening schedule and use the music as and when you need to re-motivate yourself. Motivate yourself to your full potential and see how far you can go! 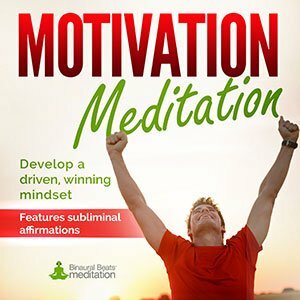 Download the Motivation Meditation today!